G mail is the fastest mail to send messages to your colleagues and well-known person. G Mail associated with Google and provides consistency security to its users. Account opening process is so easy and the processing tools are very fast. You should not be used G-mail as a canned responses Gmail. How We Can Activate Gmail Autoresponder. Now I come to the point. Anyone can set the tools in Gmail auto-reply to the specific sender. Configuration is important here. When anybody sends the message, auto-reply function responds immediately about no availability of you at that time. This facility is called “Vacation Auto Responder”. This is up to you to activate or deactivate this facility as per your need. You have to deactivate it when you are with your computer, otherwise, it wills continuously working and you will not be responding. To avoid this issue user can set the date to start and end of this facility. To activate the Gmail autoresponder add-on facility, go in your g-mail account and open g-mail setting. Click on given setting option as reflecting in the screenshot. 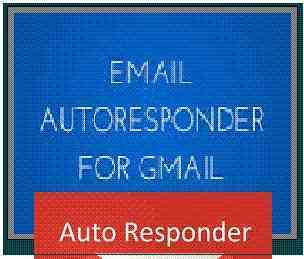 You can get an option of Autoresponder. Now opt the first and last date as you want. You can write the message quoted in the subject line to give first hit. Give your full details in the message column and press the save button. I use this option in the mail id of my site account "todayfirstevent.com" and that is successful. Which Points Are Important Re-check Autoresponder? In brief- Points are (A) – Top right click the gear (B) select setting (C) Scroll for Autorespond Option (D) Select Date (E) Write Subject (F) Write Message (G) Click on Save Button. G-mail Autoresponder Configuration Screen Shot. 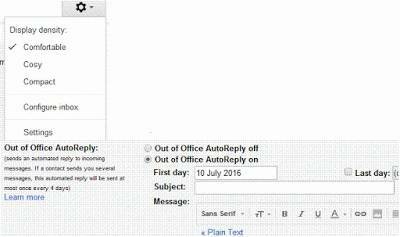 Now G-mail is ready to send your reply till modification or can say "Vacation Responder On". I have described everything in the image also for better clarification.